The scroll bar does not appear on my Mac system and I cannot access some of the documents. When you open DocControl application on a Mac OS X Lion computer, the scroll bar in the views might not appear. 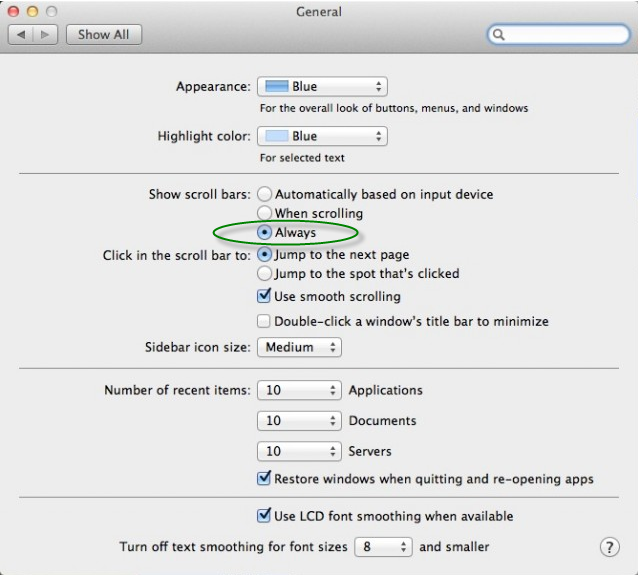 To resolve this issue, you can change the OS setting to “Always” show scroll bars as follows. On the Apple menu, select System Preferences > General. Under Show scroll bars, select Always. Refresh the web page that contains the Tableau view.